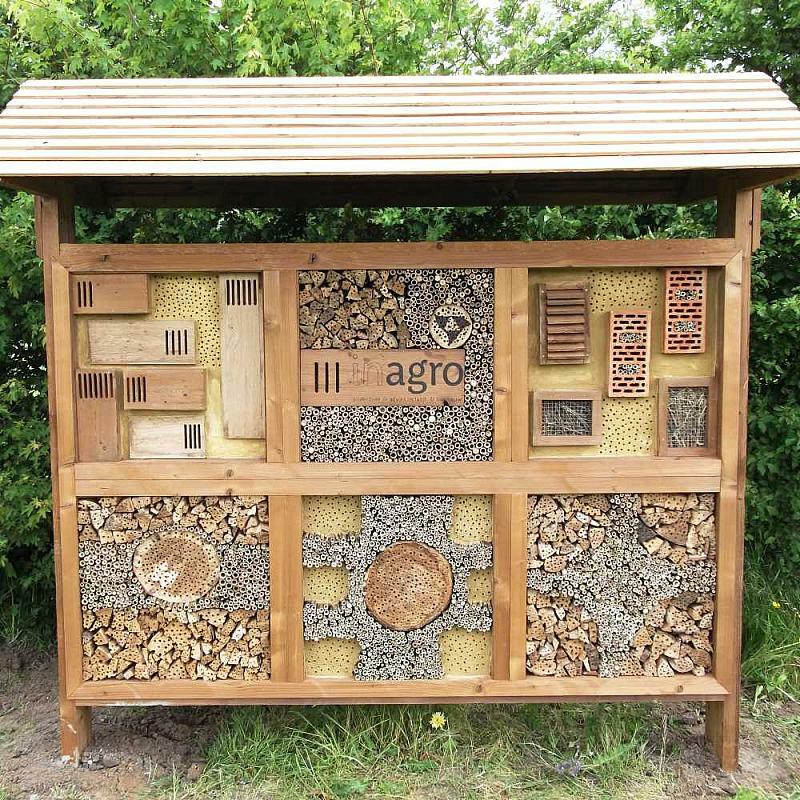 The insect wall provides nesting opportunities for various species of solitary bees and other small insects such as spiders, ladybirds and earwigs. 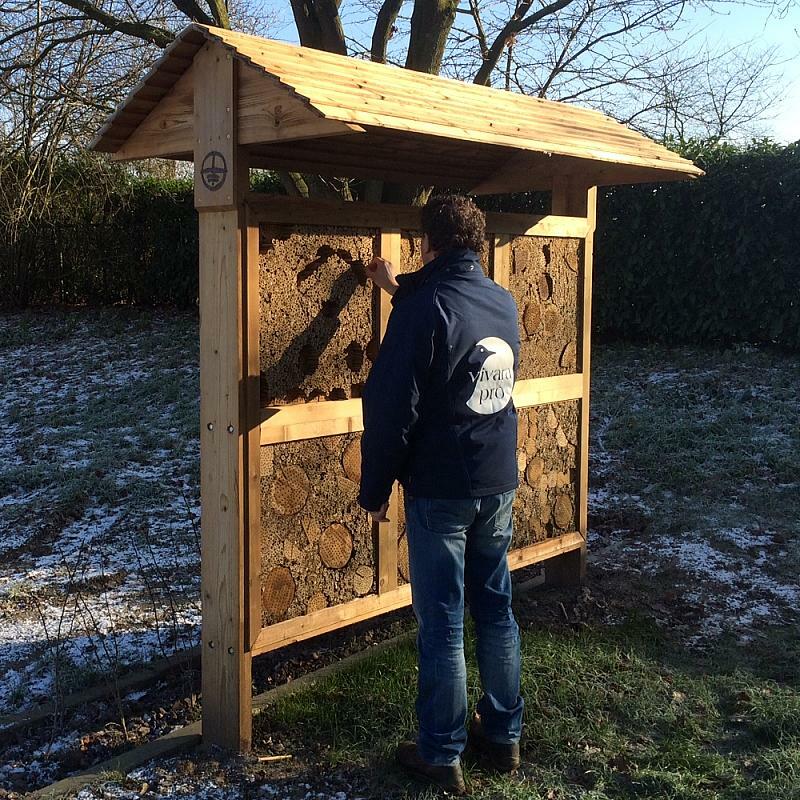 The insect wall, with roof, is made of durable solid FSC wood and approved by bee experts. Advice: Panting is important so that butterflies, solitary bees and other insects are attracted to the insect wall. Nectar plants are indispensable for the bees in the hotel, we recommend providing around 100 m² of native nectar plants around the hotel. 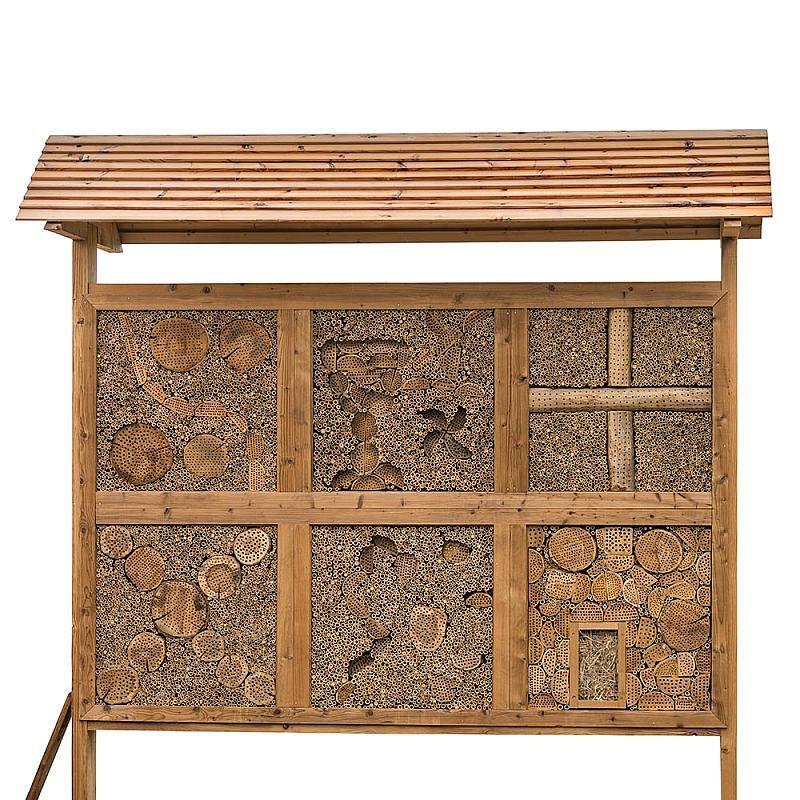 Place the insect hotel preferably in a sunny area, in close proximity to plants and flowers. 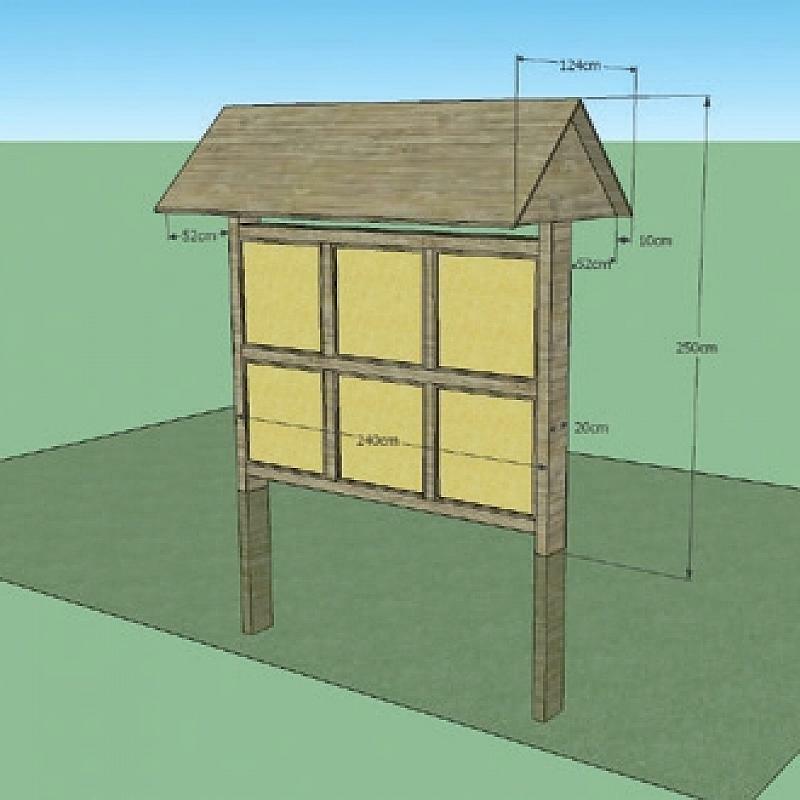 The front, where possible, aimed at the south. The hotel can be dug into the ground with the poles, ensure the pole with the protective black layer is just above the ground level. 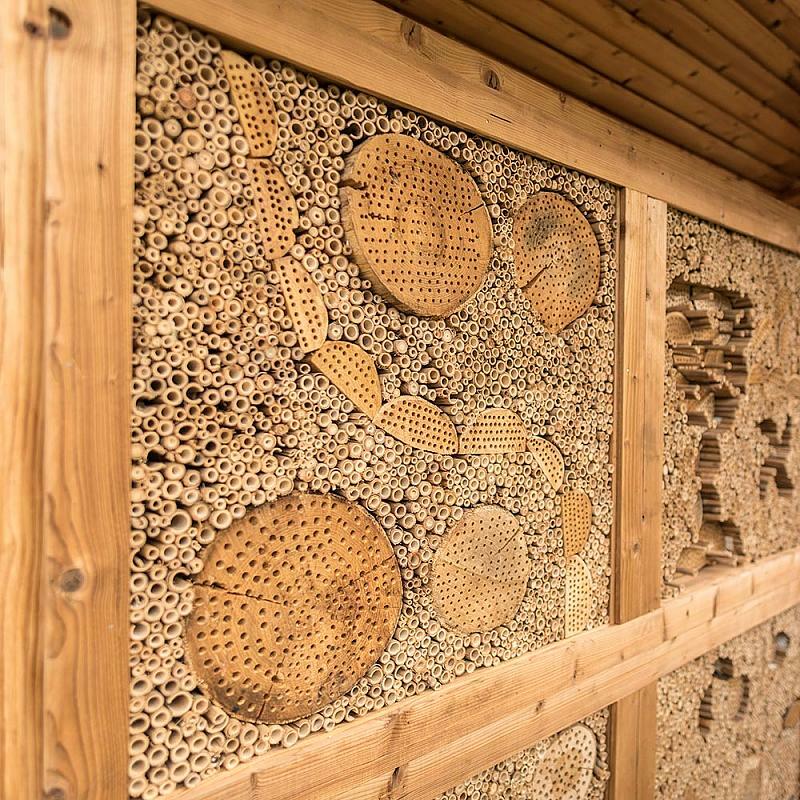 The insect hotel is treated with a clear water-based substance. A regular paint job will naturally prolong the shelf life. The bamboo tubes do not have to be replaced unless they are damaged or pulled out. The hotel should be checked once a year in the winter months for overall condition and stability.